There is nothing better than pasta and wine. However, we may be a little bias on that subject! While you can't really go wrong with pasta and wine, when you find that right combination, it can make your meal even better. When trying to select the perfect wine for your pasta, you actually have to pair it with the sauce. Here are a few of our favorite wine pairings you can find at the best Italian restaurant at the Lake of the Ozarks. 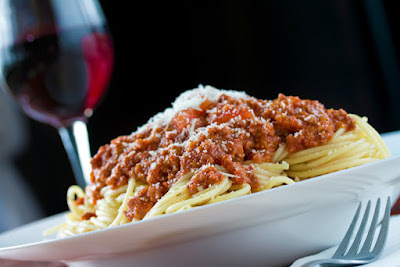 Tomato-based pasta dishes, such as our spaghetti or linguini marinara, are best with medium-bodied red wines like a Zinfandel, which can be enjoyed at our Lake Ozark location, or a Merlot. These sauces are powerful, high acid and are often blended with rich, red meats, so a middleweight body is the best options, as it won't over power the dish. No matter the size of your event, we make party planning a little easier with our catering services. From weddings to office parties and everything in between, let Li'l Rizzo's provide you with top-notch catering at the Lake of the Ozarks. Here are just a few of the benefits you can enjoy when you order catering from Li'l Rizzo's for your event. When you have your party catered by Li'l Rizzo's, you can choose from delicious appetizers, your favorite pasta dishes and even meal combinations. The best part? Your guests will love it! We offer party size portions of some of our more popular dishes from the best Italian restaurant at the Lake of the Ozarks. Make your party stand out by having tasty options for your guest to enjoy. Bring The Whole Family To Li'l Rizzo's! Our kid's menu is for kids 12 and under and includes Coca-Cola products, tea, milk or apple juice. Get Ready For School With Li'l Rizzo's! Many schools across the nation are starting back up this month! Both Osage Beach and Camdenton both start school on August 21. With just over a week to go, we want to help you get prepared and make sure you start school off on the right foot. Here are a few things that can help you with the 2017/2018 school year! Between notebooks, pencils, folders and textbooks, your child will be carrying around a lot, so make sure they have a good backpack that can hold all the necessities. Most schools will let you know what each grade needs and some times teachers will have specific items they want their students to have. The Quackiest Event Of The Year! The Great Bagnell Dam Duck Drop is this weekend, and Li'l Rizzo's is proud to be a sponsor of this year's event. 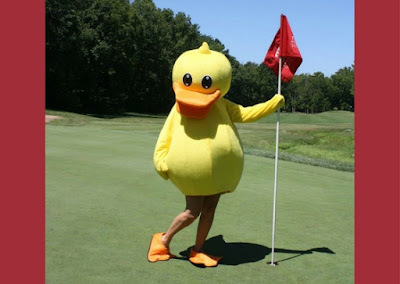 This quacky annual event will be taking place both Friday, August 4 & August 5. This is a great way to have fun with the family and give back to our community. All proceeds from this event stay locals to help community organizations, including Big Brothers Big Sisters. Li'l Rizzo's has all the information you need about this year's event and how you can participate!